I was down in the keys and went out on a friends flats boat in the late afternoon around 7pm. We fished 40lb bullbuster mono with 80lb bullbuster mono leader. We hooked up to our first fish around 7:15 and fought it till about 8:30 and then safely released him. After him, we reset and my younger cousin hooked up to his at around 9 and fought it till 10:30, the bullbuster mono kept our line tight while we battled the fish for such a long time. The weight for the first tarpon was estimated about about 110! 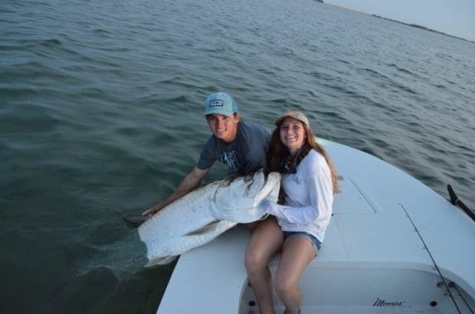 If you liked this short article check out some more by L&H Sportfishing below! I was watching my right kite and out of no where the flat line went off. I ran over there closed the bail and picked it up and checked my drag. After about 20 minutes of fighting my dad started to think it was acting like a shark. just saying deep and not doing much. I was tight on 12lb bullbuster mono with a 20lb mono leader. After about an hour and 10 minutes I finally brought alongside the L&H a beautiful 35lb yellowfin tuna!! 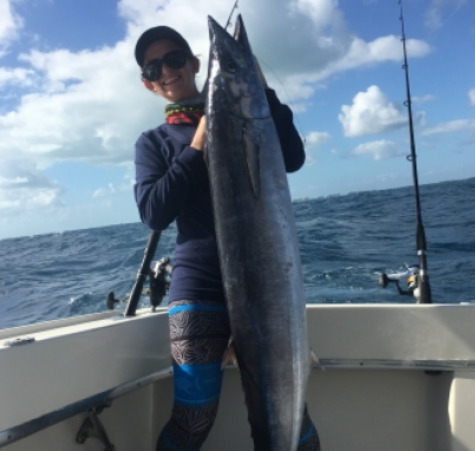 WINTER WAHOO SOUTH FLORIDA STYLE! 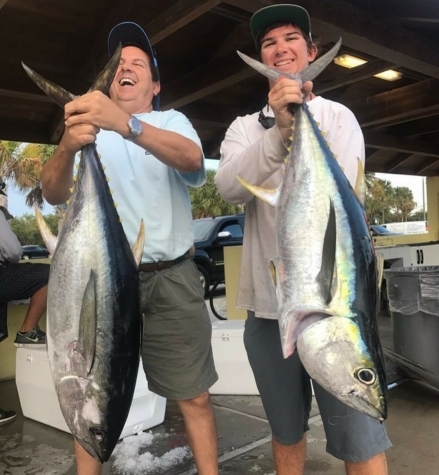 Late winter and early spring can be a great time of year to catch big wahoo off south Florida!!! This time of year we fish for them with live baits fished from kites and flat lines. Goggle Eyes, blue Runners, cigar minnows, pilchards and herring are some of our favorites but anything alive will do the trick. A short piece of wire attached to the hook is a must. We use clear bullbuster 50 pound mono to finish off the leader.